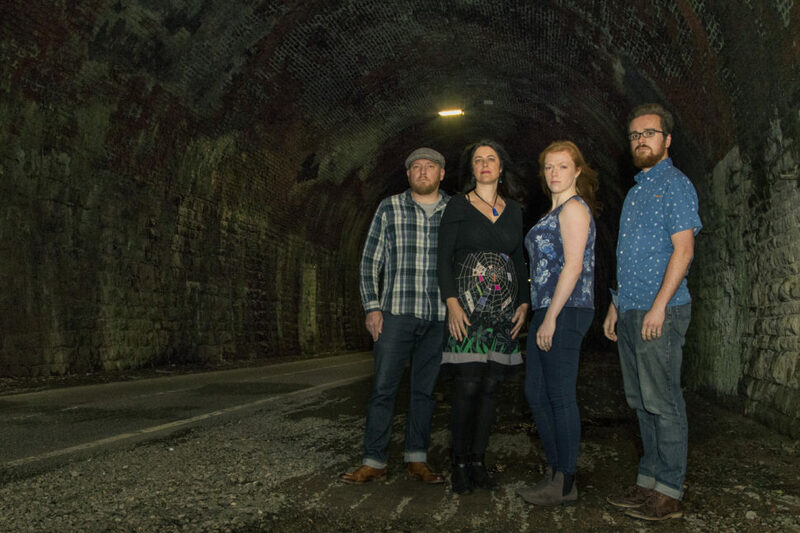 Playing their unique brand of melancholy songs and tunes, Road Not Taken are starting to make waves on the UK folk scene. From humble beginnings in 2014, after coming together to perform at Downend Folk Club in North Bristol, the band has seen a rapid rise, soon finding themselves supporting the likes of Lady Maisery, Rachael McShane & The Cartographers and Jim Moray, and spreading their wings further afield with performances at Oxford Folk Weekend, The Great Almonry Folk Weekend and Priston Festival. Road Not Taken are singer Anita Dobson, guitarist Ant Miles, fiddle-player Claire Hamlen, and multi-instrumentalist Joe Hamlen.